Certified, eco-friendly, organic mineral adhesive to lay heavy vinyl floors and coverings on absorbent substrates, ideal for use in GreenBuilding. Single-component, water-based, solvent-free and with very low volatile organic compound emissions, safeguards the health of both operators and the environment. 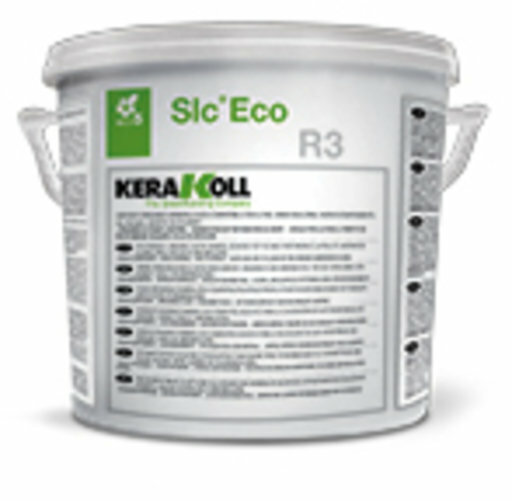 Slc® Eco R3 develops the best combination of open time, initial setting and extreme resistance for the safe, easy laying of all types of floor and wall PVC and rubber coverings in thicknesses up to 3 mm on absorbent or almost non-absorbent substrates.